Every year I look forward to sitting down with a big bowl of my Mum’s Trifle to finish off my Christmas lunch (and I always make sure that I have saved some room for it!) 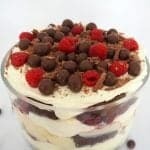 but this year I think I might just have to make this easy Chocolate Trifle recipe instead. 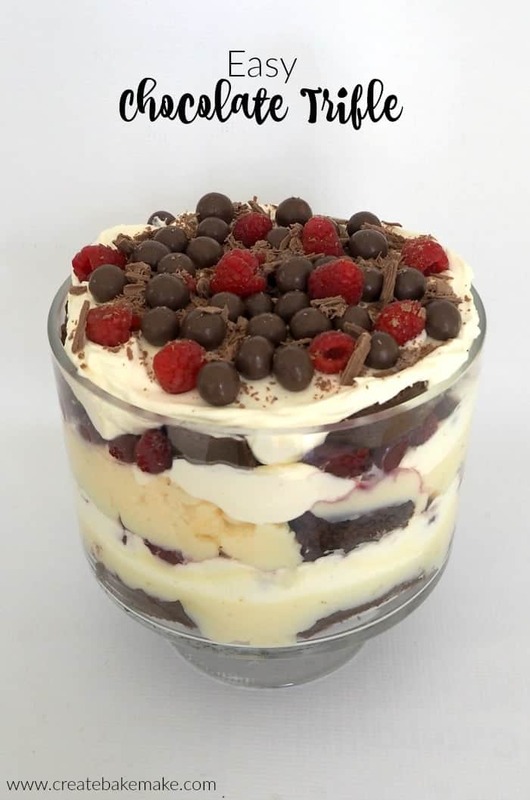 For a split second, you may not want to dive into this Chocolate Trifle as it just looks too good, however once you’ve tried it, you will be going back for seconds – and even thirds! This recipe makes a BIG trifle (woohoo, leftovers! ), and I strongly encourage you to use a deep 3 Litre bowl, so you can show off the layers. If your bowl is shorter/wider that’s ok too, this Trifle will still taste amazing. While I’ve popped the method below for this Chocolate Trifle recipe, you really can just make it up as you go along, as long as you have a layer of each delicious ingredient you really can’t go wrong! I also suggest that you hold off decorating the Trifle until you are just about to serve it as the Maltesers can begin to soften in the cream – enjoy! 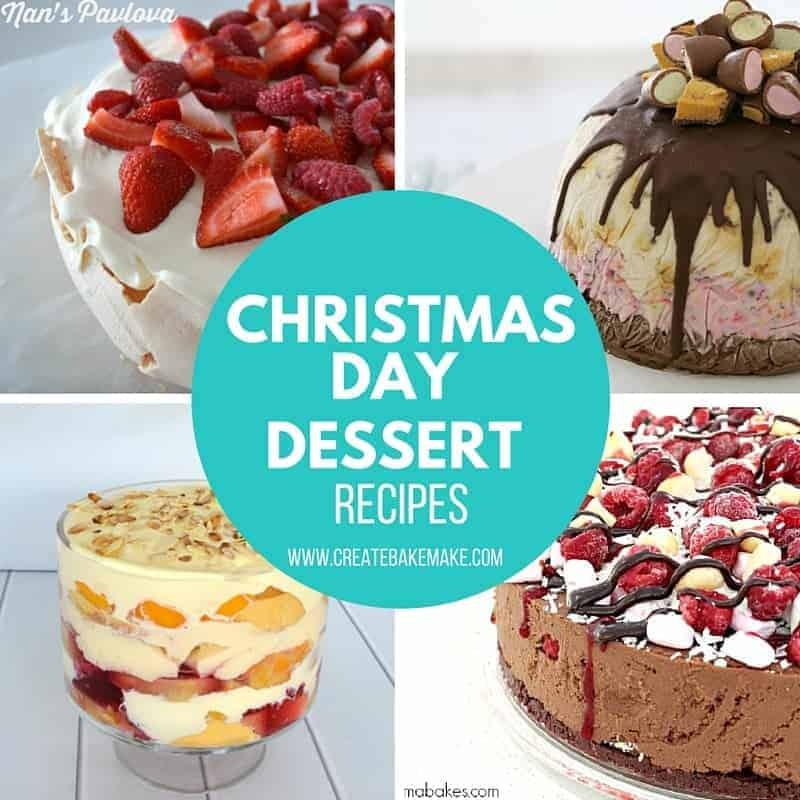 For more Christmas Day Desserts, check out this post. This easy Chocolate Trifle recipe is a great Christmas Day dessert and will take pride of place on your table. 395 g tin condensed milk. 600 g chocolate roll - you will need two 400g rolls. Cut the chocolate roll into 1cm pieces. Place the cream and condensed milk into the bowl of an electric mixer and beat until soft peaks form. Set aside until needed. Arrange 1/3 of the chocolate roll slices over the base of a 3L serving bowl and sprinkle ? of the raspberries and cherries over the top. Top with ? of the custard and ? of the cream. Repeat in the same order until your serving bowl is filled and a layer of cream is on the top. 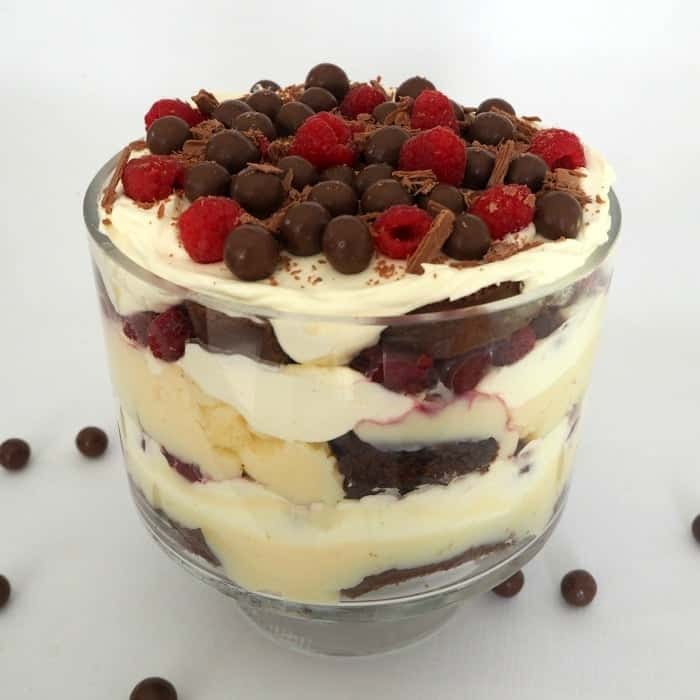 Just prior to serving, decorate the top cream layer with the Maltesers, remaining raspberries and Flake pieces. Where possible, decorate the top layer of this trifle just prior to serving as the Maltesers can go a little soggy in the cream. You can use either fresh or frozen raspberries for this recipe. Cook the custard using the ‘automatic recipe’ function on your Thermomix. Select ‘6 – 8 serves’ and ‘thick’ consistency. Once cooked, place the custard into the fridge to cool. In a clean Thermomix bowl, insert the butterfly attachment and add the cream and condensed milk. Mix for 30 – 90 seconds on speed 3 – watch through the top of the Thermomix lid to ensure you don’t over whip the cream. The time it takes for the cream to whip into soft peaks will vary as they ‘freshness’ of the cream can impact this. Once your cream and condensed milk has formed soft peaks, set aside until needed. Arrange 1/3 of the chocolate roll slices over the base of a 3L serving bowl and sprinkle ⅓ of the raspberries and cherries over the top. Top with ⅓ of the custard and ⅓ of the cream. 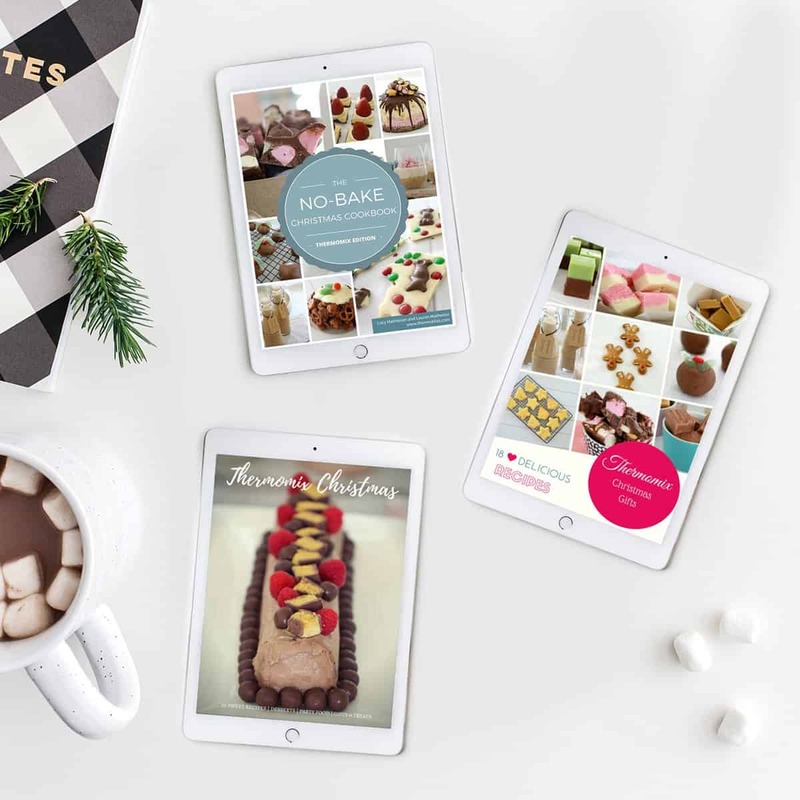 You can also find more great Christmas recipes in our ‘No Bake Christmas Recipes‘ eBook – Also available in a Thermomix version. Just wondering if you could use a bit of alcohol like kirsh or something just sprinkled on the chic rolls. ?. It tastes great. Just made another for guest this weekend they all love it . Hi, do you use some of the liquid from the cherries or do you strain them? What sort of chocolate roll do you use ? The recipe is so simple would differently try . thanks a lot . You can also opt for chocolate mousse instead of custard if you want it even more chocolatey. One year I made a rocky road style trifle and found similar to the boxed custard in the fridge aisle a pourable chocolate mousse.